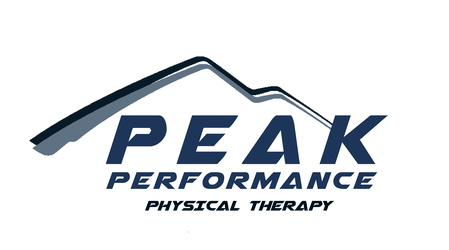 At Peak Performance Physical Therapy we believe that movement is medicine, and moving safer, smarter, and stronger is a journey toward optimal health. We will support you throughout it—helping you recover from injury, achieve your goals efficiently, and become active for life. Your physical therapist and therapist's assistant make up your personal team, working in tandem to help you achieve the best possible results. Together, you’ll make a shared commitment to hold one another accountable along the way. Start your journey by meeting with your Peak Performance physical therapist—a highly trained and experienced professional who will remain a part of your team throughout your treatment. Through one-on-one discussions of your medical history, physical condition, and personal goals, you’ll work together to build a program that’s tailored to you. After they’ve made a diagnosis, your physical therapist will begin your treatment—determining more effective movements and reinforcing them until your pain is eliminated. Now that you’re free from pain, you’re ready to get to work on your performance. During this stage, you’ll refine and improve upon your movements. As you master these new, more effective ways to use your body, you’ll continue to heal—ensuring you achieve maximum mobility and stability. Once you’ve reached your desired range and control of motion, it’s time to address your strength and conditioning. Incorporating your newly established, optimal movement patterns, you’ll continue with your performance coach and turn your focus to your functional strength. Through ongoing training offered in both private and group settings, you’ll work to sustain and further solidify correct movement patterns, helping you stay active for life.